Study abroad. It’s been on your mind forever. Everyone tells you to do it. They all say it’s the cornerstone of your college experience. So you decide to go for it, to venture off to China, India, Spain, the United Kingdom or another one of Earth’s exotic places. You think your life will consist of lounging on the beach, or jaunting around to every tourist destination, every hole-in-the-wall restaurant. You see yourself posing for dozens of photos in front of the landmarks you’ve only seen in books, balancing yourself on top of a camel, clubbing with your friends until sunrise. You won’t have a care in the world. But the truth is, study abroad isn’t just a three-month party. You won’t always be happy and careless. And you have to be prepared for that. I was in London in the fall, the same quarter as Alyssa Weaver. Our programs shared an orientation, and though I never met her, we were probably sitting in the same room during our first few hours abroad. We likely heard the same in-country staff member talk about a slew of logistical details: navigating the Tube, obtaining medical services, planning weekend trips. We heard about culture shock and the feelings you may experience: homesickness, frustration, anxiety, depression. At the time, I had dismissed all of that. “This is England,” I thought. “It’s not THAT different from the U.S.” I didn’t take in the information on strategies for making the cultural adjustment. I didn’t heavily consider that anybody’s pre-existing anxiety or depression could be easily exacerbated. I didn’t really know the available resources to help out those falling through the cracks. I wonder if Weaver did. Really, I wonder if anyone did. The stress of being so far away is never easy. Regardless of whether you’re in a Third World country with no running water or somewhere as industrialized as London, there will be days when you will feel homesick. You’ll miss your friends and family, that sense of fitting effortlessly into place. You may find yourself feeling especially crappy on the holidays you usually spend at home, something I knew all too well on Thanksgiving as I sat in class staring out at the late afternoon darkness. In many cases, though, you can pick yourself up. Go for a walk in a nearby park. Grab a pastry and go window-shopping. A couple of treats from Ben’s Cookies — a must if you’ll be in London — and browsing the floors of Harrods perked me up on that Thanksgiving night. Peruse a museum or visit a landmark, and don’t be afraid to do it alone. The sights you see and people you encounter are often enough to bring you out of a funk and remind you why you went abroad in the first place. And in those scenarios where the sadness is just too much to bear yourself, talk to someone. Confide in a friend. Reach out to your family. Tell your program’s in-country staff members. Though it may seem that there aren’t enough mental health resources to go around or an adequate way to identify at-risk students— issues the Study Abroad Office is addressing — the individuals on site want you to be happy, and they will try their best to get you there. But most importantly, no matter how difficult it is, don’t be silent. If someone asks you how you’re doing, be honest. Let your support system rally around you. Let them help pick you up if you can’t do it yourself. And don’t forget to do the same for those you see who are struggling, to tell them you are ready and willing to listen. This part is so necessary to create a culture free of stigmatization of mental health issues. It’s the key to making sure that those in need will talk to someone. The people who told you to study abroad were right: It is an unforgettable learning experience, one that cannot be simulated back in the U.S. But it’d be a lie to sugarcoat it as something that was perfect in every way. It’s inevitable that there will be days where you feel down, so knowledge of how to cope — whether it’s on your own or with the help of someone else — is imperative. 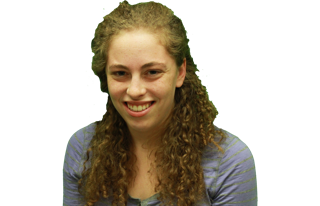 Jillian Sandler is a Communication junior and The Daily’s Opinion editor. She can be reached at jilliansandler2014@u.northwestern.edu. 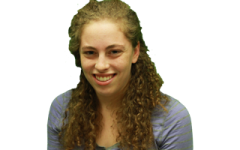 If you want to respond publicly to this column, send a Letter to the Editor to opinion@dailynorthwestern.com.